Senate Republicans stand behind Senate President Robert Stivers, as he makes a statement on the state budget. Since day one of this session, Senate Republicans have been focused on a budget that pays down our pension debt in order to keep our promises to public employees and teachers and to protect future generations. Today the Senate agreed to restore 100 percent of K-12 funding, restore 100 percent of university funding for this year, and reduce post-secondary education cuts for the next two years by 50 percent. Also, the Senate proposed restoring the Judicial Branch budget to 100 percent funding and restore funding to various programs offered throughout the state. However, despite our willingness to negotiate, House leadership walked away from this offer. Instead they insist that universities should not experience any cuts at all and cling to the idea that the state should offer free community college. No one can deny that the funding levels of our public pensions are the number one problem facing this Commonwealth, and Senate Republicans refuse to continue to kick this can down the road. We will not jeopardize employee/teacher retirements in the name of free community college or special projects in House districts (which include golf courses, swimming pools, etc.). Negotiations between the Senate and House will continue, and we have until the 60th day of the session, April 12th, to try to reach an agreement. If the Commonwealth’s future is important to you, I encourage you to call House Leadership at 1-800-372-7181 and tell them you want a fiscally responsible budget passed by the 12th! As always, if you would like to discuss this further, feel free to e-mail me at Wil.Schroder@lrc.ky.gov. Thank you for the e-mails I have received thus far. 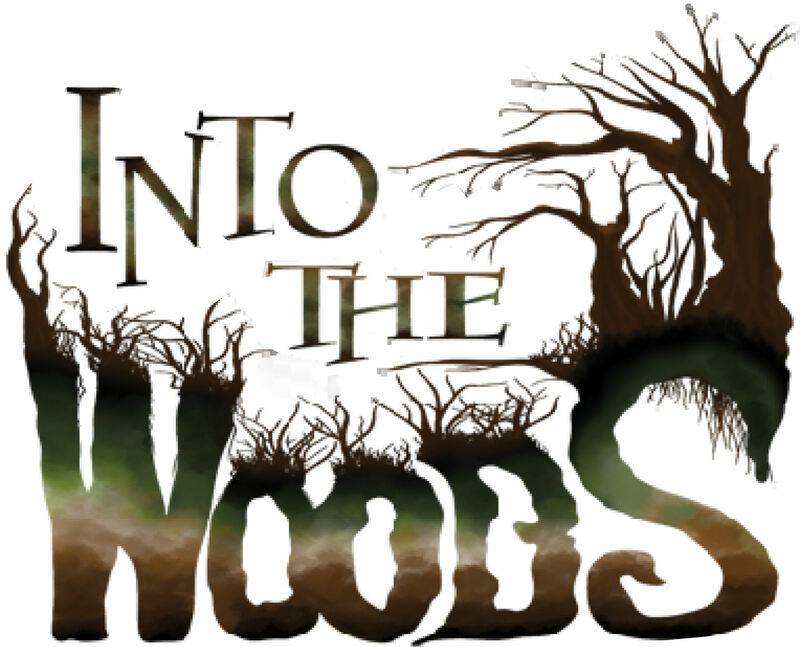 WHAT: James Lapine and Stephen Sondheim take favorite storybook characters and bring them together for the timeless yet relevant piece and rare modern classic, Into the Woods. The story follows a baker and his wife who wish to have a child, Cinderella who wishes to attend the King's Festival, and Jack who wishes his cow would give milk. When the baker and his wife learn that they cannot have a child because of a witch's curse, the two set off on a journey to break the curse. Everyone's wishes are granted, but the consequences of their actions return to haunt them later with disastrous results. This is an advertisement. Dental Blu, Highland Heights. The Stables Building. FTM file. Midway There, a group of Fort Thomas business and city leaders are still working on plans to land swap and convert the former U.S. Army Cavalry “Stables” building into an industrial kitchen, open air market, theater and retail space similar to Cincinnati's Findlay Market. The building, which was built as horse stables in the late 1800's, has no plumbing and bare-minimum electric, but could be a blank canvas for new tenants coming in. For the past three years, Midway There has been working on this plan, and city officials are hopeful the time is near. 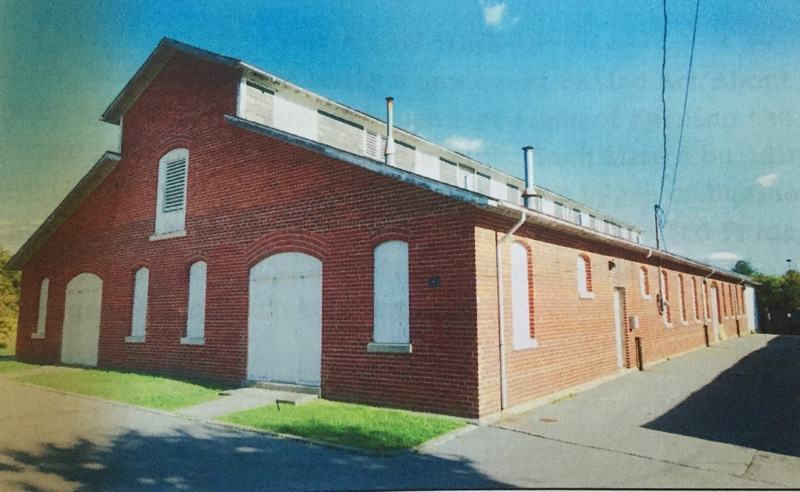 “We are still in negotiation with the U.S. Army Reserve, the current owner, for consideration for purchase of the "Stables" building under their Real Property Exchange Program. We have been through a bid process under this program but have not been able to meet all the terms required under this program. The city does have a continued interest in acquiring this structure as we feel it could provide a great economic impact in that area of the community,” said City Administrator Ron Dill. “There is still a group of private residents that was formed to assist with procuring the property and developing it with the city,” Dill said. A proposed walk up window could be installed where the middle window is at 42 N. Fort Thomas Avenue. FTM file. In August of 2015, Amy Lloyd bought the business at 42 N. Fort Thomas Avenue, then known as Convenient Deli Mart. Later that fall, she rebranded the business as Amy's Market. If you've been into the business since she's bought it, there have been some obvious changes. 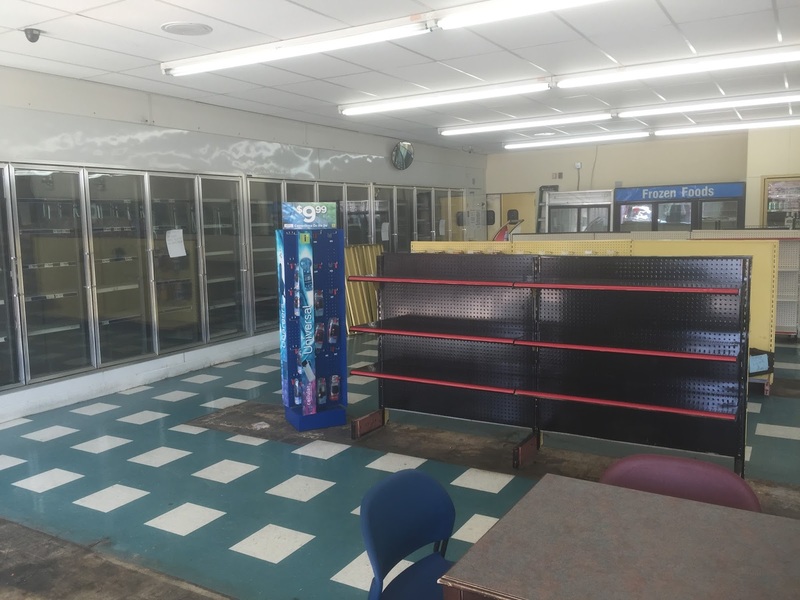 Even more recently, you'll notice something even more apparent: half of the store has been cleared out, including emptying the entire back wall of refrigerated units and moving the rest of the stock to the front end of the store, closest to the registers. Half of Amy's Market has been cleared out to make room for another potential business coming in. FTM file. The answer lies within a proposal to the city by a new business that could be coming to Fort Thomas. We get sent a lot of items everyday at FTM. Interesting Craigslist listings usually don't make the cut, but a quick tagline caught out attention on this one. A bird named Chester, was lost on Tower Hill Road. 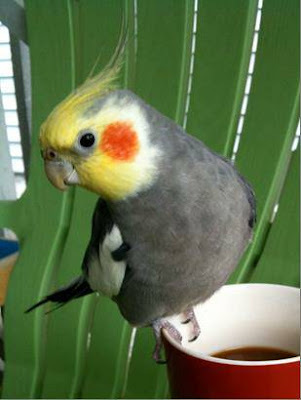 He's a male cockatiel. He's gray and white with a yellow head a orange cheeks. He's friendly and will sit on your finger or shoulder. Oh, and HE KNOWS THE IMPERIAL MARCH THEME FROM STAR WARS AND CAN SING IT. Yes, this one. 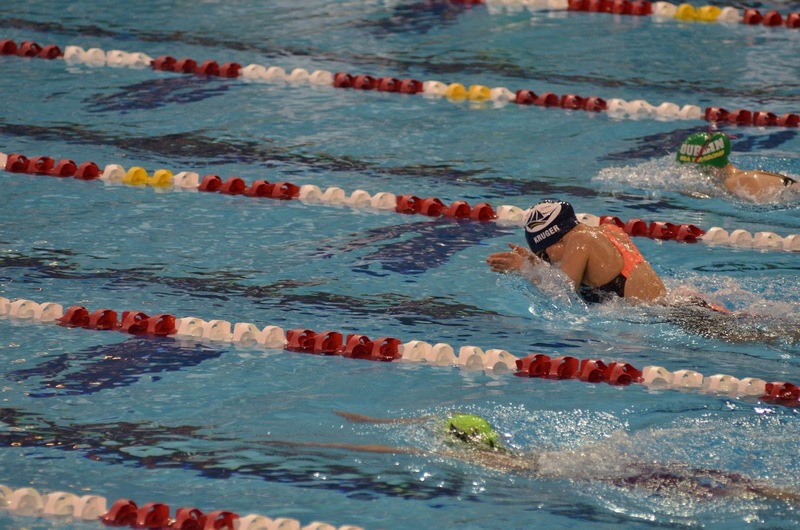 From March 10th to March 13th, the Northern Kentucky Clippers qualified 68 swimmers to compete in the 2016 Ohio LSC Junior Olympics at Ohio State University. The Clippers finished in 3rd place overall out of 46 teams. It was a very competitive meet with the Clippers scoring 2493 points, only 63.5 points behind second place. Clippers swimmers achieved approximately 73% personal best times – the highest percentage of personal best times in the meet among large teams. Below are the highlights from the meet. What are YOU doing this Summer 2016? The Newport Penguins Swim and DiveTeam, established in 2012, is a summer swim and dive program entering its 5th year as part of the Northern Kentucky Swim League (NKSL). The Team’s mission is to provide children from all backgrounds and experience levels with the opportunity to develop competitive swimming and diving skills, improve self-esteem, foster community pride, and have fun in the process. The Team is part of The Newport Foundation, Inc. and is a non-profit run by volunteer Boosters. The Junior Penguins Swim Lessons Program teaches basic swim safety skills and beginning stroke development. 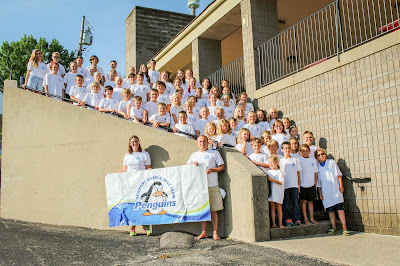 The goal of the Junior Penguins is to develop profi- cient and safe swimmers and potentially prepare participants for success as members of the team as their swimming skills improve. To reserve a spot in any session, individuals must register and spots are filled on a first-come basis. Financial assistance is available due to the generosity of our sponsors. Financial assistance request forms can be found on online here. Lauren and Casey Kilgore with James and Kate in 2015. FTM file. The Highlands High School football team will hold their Annual Spring Clean on Sunday, April 24, 2016, from 1-5 p.m. The Annual Spring Clean is an opportunity for members of the football team to help area residents with chores, including yard work, cleaning out a garage, or working around your house or business for a donation to our cause. For their safety, we do not allow students to use power equipment or power tools. This year, all proceeds will benefit Fort Thomas Police Officer Casey Kilgore. In 2011, Lt. Kilgore was diagnosed with non-life threatening melanoma. However, after going back to the doctor with a lingering cough in 2015, x-rays showed the melanoma had mutated and spread to his lungs, spleen and eye. In April 2015, he was diagnosed with Stage IV Metastatic Melanoma. Lt. Kilgore immediately started radiation on his eye and lungs. He also began a new approach to fighting melanoma called immunotherapy, which is the use of medicines to stimulate a patient’s own immune system to recognize and destroy cancer cells more effectively. Since this type of melanoma doesn’t really ever go away, he will receive immunotherapy once every three weeks for the rest of his life. 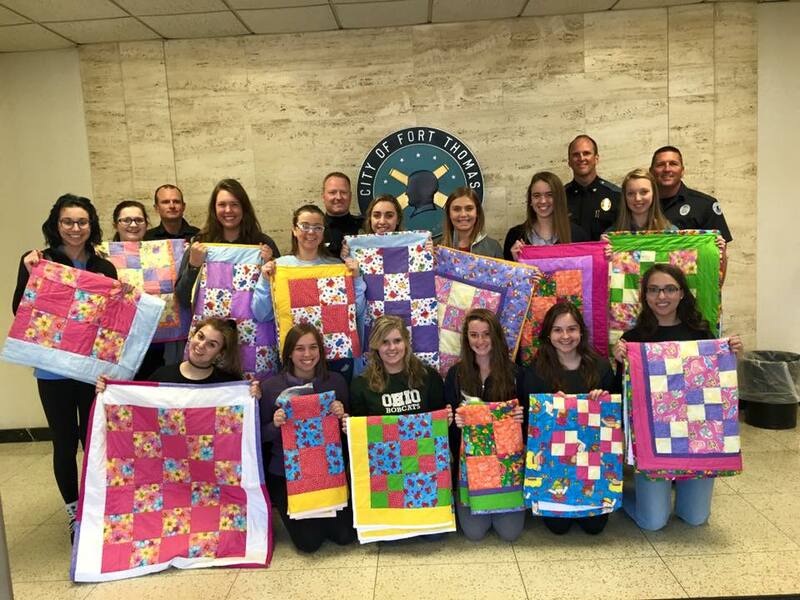 Highlands students from the Family and Consumer Science Class donated handmade quilts to Fort Thomas Police. FTM file. The police officers of Fort Thomas respond to a variety of difficult calls which may include frightened children because of an injury, house fire, or other tragic circumstance. Most of the officers keep a stuffed animal in their cars to give to a child in distress. Now they can add something extra special: 14 handmade quilts designed and created by Highlands High School students taught by Ahren Wagner. Did you know that gum disease is linked with blood vessel disease, heart disease and stroke? Did you know that if you have diabetes AND bleeding gums that your risk of premature death can increase by 400-700 percent? We are learning every day, more and more about the risks of oral disease and how it effects our whole body! At total health dentistry, Dr. Gold and her team are committed to helping each of their patients gain total body health! Call today to schedule your exam! 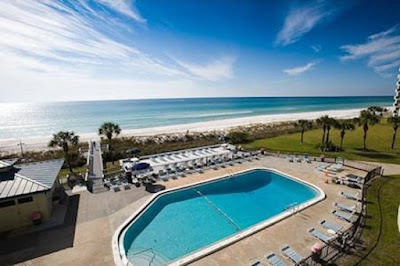 Panama City Beach has been a favorite Fort Thomas destination for Spring Break for many years. The Fort Thomas Independent School Calendar generally pencils spring break around the first week in April, well after a traditional college spring break. But behavior by those same college spring breakers have prompted local Bay County officials to adjust their local laws to protect their citizens by enacting new laws only during the month of March. So while Panama City Beach businesses say the new laws, aimed at cutting down excess drinking among spring breakers have cost them customers, they will not affect adult spring breakers who take their families to "Fort Thomas South." Here's a list of the laws passed by the Panama City Beach City Council and the Bay County Commission. PHOTO: Allen Ramsey, DWCPhoto.com. The Highlands Bluebirds football team will play in Class 5A, Region 2 in the 2016 and 2017 playoffs as a result of the Kentucky High School Athletic Association approving cross-districting for the playoffs for the largest two classes. It may be a long way from the football season beginning let alone the postseason. Jason Steffen sits down with FTM Radio to talk about the reorganization of the Democratic Party, which takes place every four years. 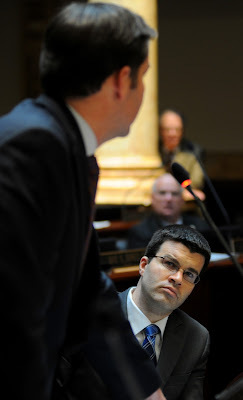 Steffen, a Fort Thomas resident, last ran for the Kentucky State Senate in 2014 against Republican, Wil Schroder. The Democratic Precinct Convention will be held this Saturday, April 2 at 10:00 a.m. in your local normal polling location. Each precinct has a committee made up of one man, one woman and one youth under 35. The committee is elected at the precinct convention, where all interested Democratic precinct residents can participate. Once elected, the committee will elect one of its members to serve as Precinct Chair. Omega Processing Solutions is the lead sponsor of FTM Radio. Tiffany Maple, local resident and the owner of Anointed Touch Massage in Fort Thomas, is the new massage therapist for FC Cincinnati and she’ll be offering regular and new clients the chance to win great seats to an upcoming home game. FC Cincinnati is the newest professional sports team in the Cincinnati/ Northern Kentucky area. 2016 is to be the soccer club’s inaugural season, playing in the USL out of Nippert Stadium at the University of Cincinnati. Tiffany believes they bring something new to the Greater Cincinnati sports scene, “It’s a nice addition as an alternative to other Spring sports.” Tiffany points out that compared to more established teams, a day out for an FC Cincinnati game is much more affordable for an average family. They are also trying innovative new ways to reach fans, such as live streaming games on YouTube and making agreements with local bars to screen all games as well as using more traditional media with all home games being available on local TV channels. Stay tuned for more on that in Fort Thomas. Tiffany is acting as the massage therapist to the team and is excited to add massage as an addition to the already stellar healthcare provided by FC Cincinnati’s sports medicine staff. 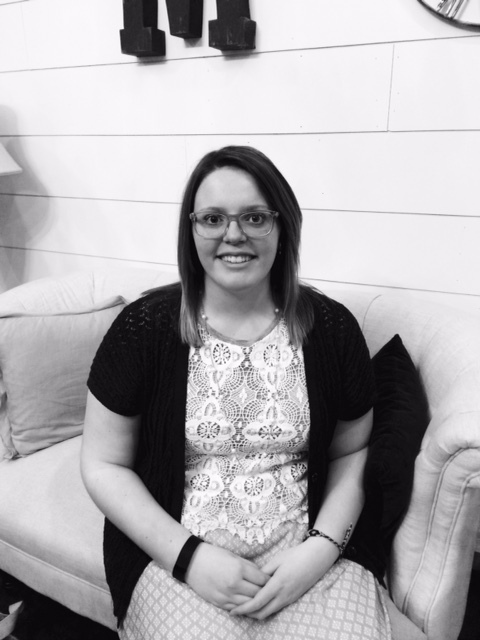 Having previously served as an athletic trainer at both high school and college level for ten years, her education and experience as a massage therapist means she is uniquely qualified to help the team. Acting as an extension of the sports medicine team, she’ll be available after practices to work with players and is really excited to add massage as an addition to the already stellar healthcare provided by FC Cincinnati’s sports medicine staff Despite loving running Anointed Touch in Fort Thomas, she’s missed being around athletics. L to R: Chris Rust, Linnea, Ken and Laura Fecher, Tammy Webster and Collin Shadwell. Highlands Middle School students recently had the opportunity to design a new logo for fire fighter’s union Local 1928. Mr. Collin Shadwell’s eighth grade class worked for several weeks to create something that perfectly represented Fort Thomas and Kentucky. After much deliberation, it was narrowed down to three logos. The class met Monday afternoon for a pizza party during which the winning logo would be revealed. In attendance were union president Tammy Webster and Fire Department representative Chris Rust. Laura’s winning logo is a beautiful combination of red, white, and blue, with our tower in the background behind a ‘Highlands blue’ outline of Kentucky. 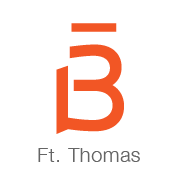 Most unions do not have their own specially designed logos, so this is a unique way to set Fort Thomas apart. The logo will be featured on t-shirts, the website, and will be seen all over the country. Laura additionally won an AMC gift card. Congratulations to Laura and to Local 1928 for their new, one of a kind logo. 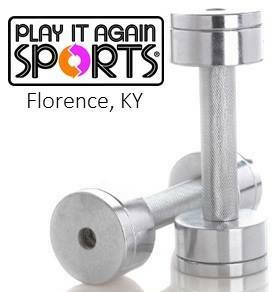 Play it Again Sports - Florence, is part of the #FTMFamily. Kids grow out of their equipment so fast, which gets expensive for parents. Whether you're looking for used equipment to save money or looking for new equipment at a great price, you should check out Play It Again Sports in Florence, Kentucky. They cater to leagues, coaches and parents. If we don't have it, we will recommend who does. Coupons, promotions, or email the store, here. 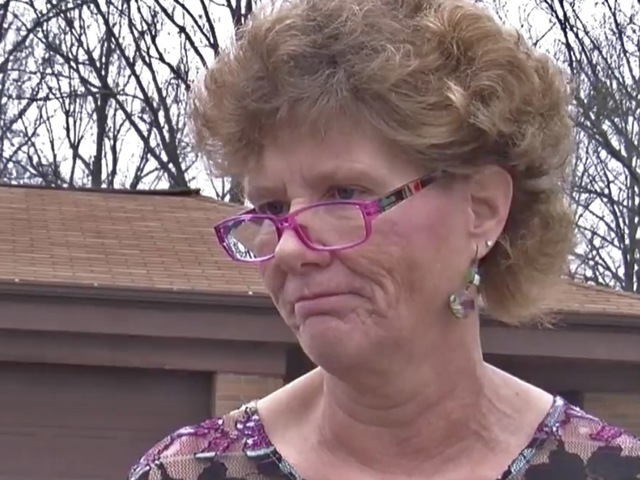 Cold Spring City Councilwoman, Lisa Cavanaugh, was arrested and charged on March 20 with Assault in the Fourth degree, along with her husband, John. The councilwoman was also charged with possession of marijuana and possession of drug paraphernalia. She has pled guilty to all three charges and will be sentenced on April 15 at 9:00 a.m. Her husband has pled not guilty. Cold Spring's regularly scheduled council meeting will take place tonight, and Cavanaugh will be in attendance to give a presentation on the city's historical pictures, further stating that she will not make any further statements about the March 20 incident. "I do not want our meeting turned into a three-ring circus," said Cavanaugh. Cavanaugh released a statement on the incident. "The incident that occurred was a very unfortunate family matter between myself; my husband; and our son that quickly escalated and got out of control. Every family has issues and things happen, but since I'm on council, my personal life is subject to public knowledge. Highlands High School senior Natalie Neace has taken it into her own hands to create a scholarship for her classmates and fellow music lovers. 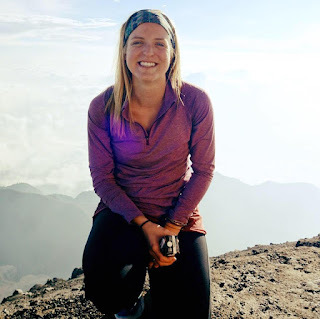 “What really inspired me to start my own scholarship was my love of music and my joy of service and giving back to others in any way that I can,” said Neace. The Scholarship is called the Highlands High School Vocal Music Alumni Scholarship, and its purpose serves to bring all of the HHS choir and alumni together to support the art of music. Assuming Natalie raises enough money to fund her scholarship, two $500 scholarships will be awarded to two graduating singers who follow these guidelines: Seniors can pick up an application in the Guidance Office or on Naviance and the deadline is April 1st. Several musical and business members in the community were chosen to be on a Board to read the essays, discuss the applications, and to decide who the two recipients will be. Gracie Fettig, a Highlands senior is one of the choir members who plan to apply for the scholarship. “I think that the Highlands High School Vocal Music Alumni Scholarship presents a wonderful opportunity for those who have an appreciation of the arts. I am hopeful that two scholarships can be funded and provided this year,” she stated. Natalie, being a member of the Governor’s School for the Arts (GSA) Alumni of 2015 and a Cincinnati Overture’s Competition Semi-Finalist, has a very high appreciation of music. She feels as though it’s important to support vocalists who pursue their dreams and will do anything in her power to do so, hence the scholarship. The recipient, however, does not have to major in music but does have to have that desire or those life experiences that prove to them how important music is for humanity. 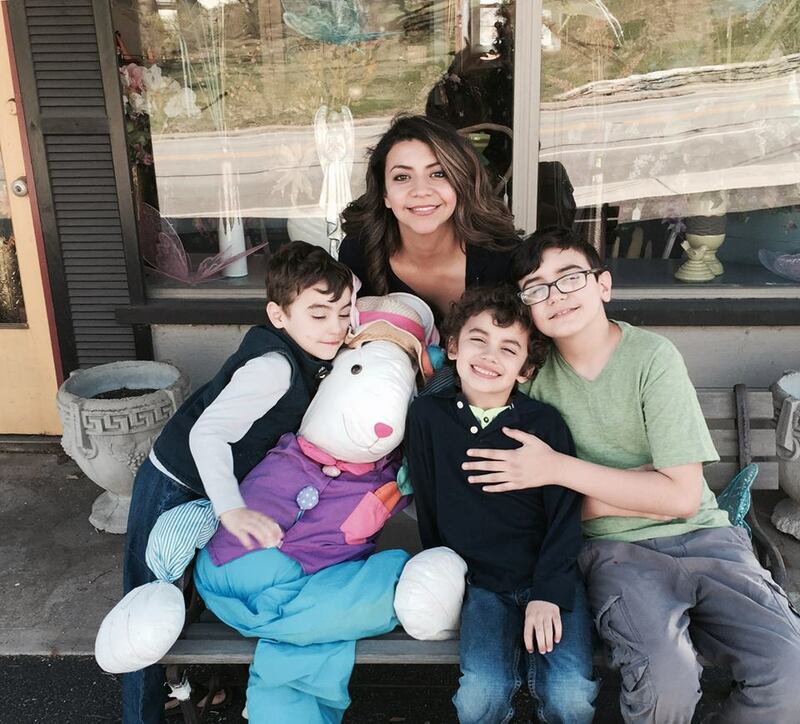 Fort Thomas has a long history of helping; our city's response to Tanith Smith and her three, young boys, after her husband, Chad, died in December is a perfect example. And as months go by, we think of our neighbors and our friends and our stranger-friends who have experienced loss and we wonder, How can I help? What can I do? For while we all know the importance of helping in the moments after, we also understand that grief and tragedy last longer than the headlines. Life, with all its joys and sorrows, getting kids to school on time and getting dinner on the table, attending Easter egg hunts and enrichment classes, wiping up spills and mowing the grass, continues. And so, thanks to the Saint Thomas Mothers' Club and W.E. Believe Network, Campbell County, we have an answer to How can I help? What can I do?. This is an advertisement. Dental Blu. A trail in Tower Park. FTM file. 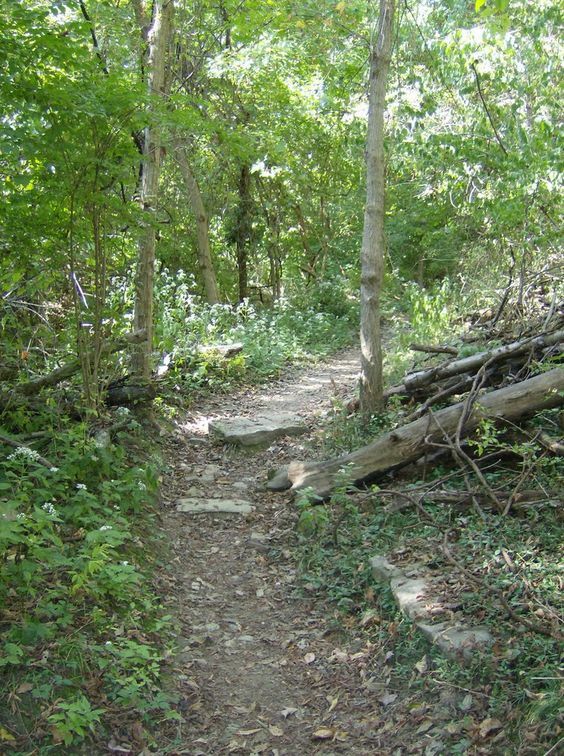 CORA (Cincinnati Off-Road Alliance), the local chapter of the International Mountain Biking Association (IMBA), has signed a Memorandum Of Understanding with the City of Fort Thomas to assist in maintaining and developing the trail system at Tower Park, and throughout Fort Thomas. 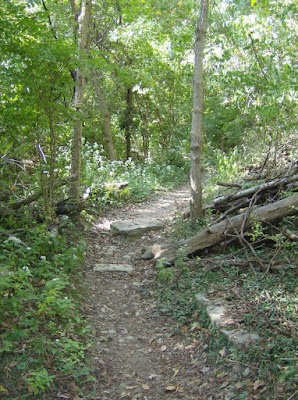 Tower Park is a unique 86 acre park located in Fort Thomas, Kentucky and is home to 5 miles of challenging natural surface trails. Located on the former grounds of the Fort Thomas US Army installation, it is a gem of history and emblematic of the tradition of mountain biking in our community. Fort Thomas has been collaborating with representatives from CORA for several years. CORA has attended planning sessions for the trail system in Tower Park and have been advocates and participants in the design and build of trails in Highland Park. They have also sponsored bike races in Tower Park and have future plans for hosting more races/events there. A bill that would allow government and private entities to enter into different public-private partnerships to fund Kentucky’s major infrastructure needs has received final passage in the House. House Bill 309, sponsored by Rep. Leslie Combs, D-Pikeville, and Majority Caucus Chair Sannie Overly, D-Paris, received final passage by an 86-8 vote and now goes to Governor Bevin for his signature. The bill would provide a framework for the use of public-private partnerships, or P3s, as an alternative financing method for major public projects, including transportation projects. 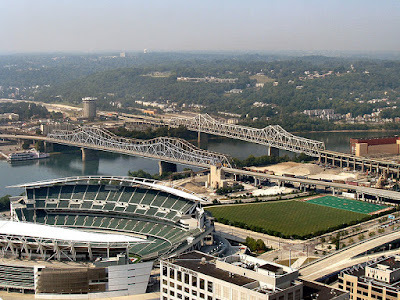 The bill would also specifically prohibit tolls for “any project involving the federal interstate highway system that connects the Commonwealth with the State of Ohio,” including the proposed $2.6 billion Brent Spence Bridge project in Northern Kentucky. 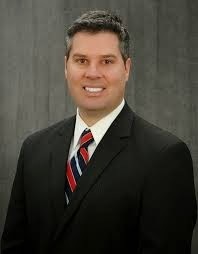 When asked by Rep. Arnold Simpson, D-Covington, if HB 309 as amended by the Senate earlier this week would authorize tolls on projects in Northern Kentucky, Combs answered definitively. Joe Meyer, member of Northern Kentucky United, issued a statement on the P3 legislation. "We appreciate the leadership and strong, united stance of the Northern Kentucky delegation on this issue. 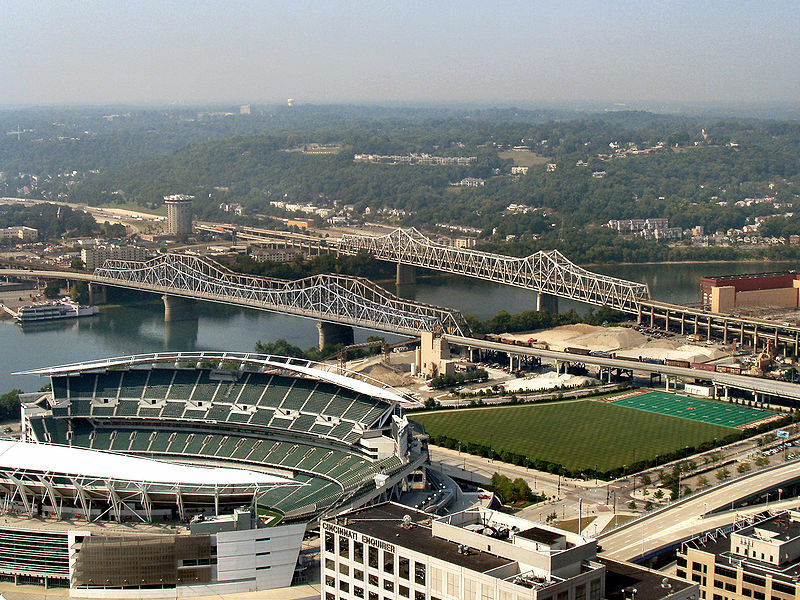 The Kentucky General Assembly has spoken loud and clear: there will be no tolls on the Brent Spence Bridge. This is not an April Fools joke. 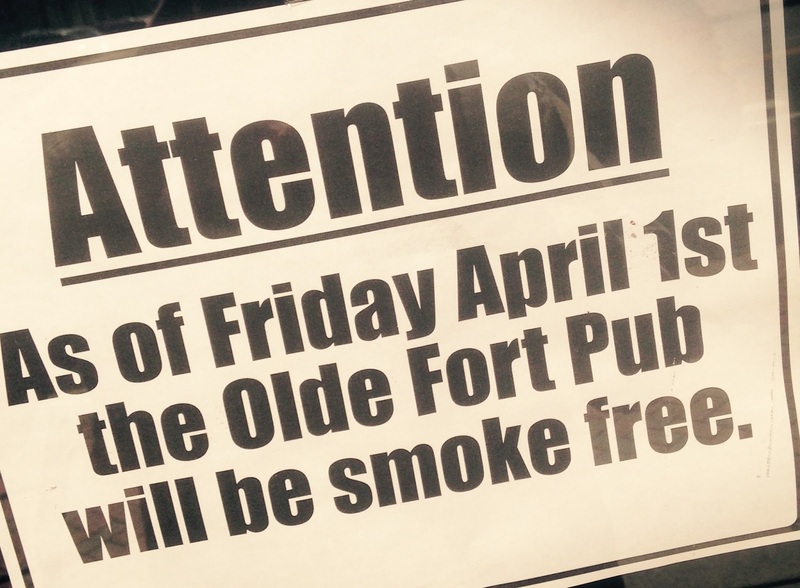 On April 1 this year, the Olde Fort Pub will be going non-smoking. 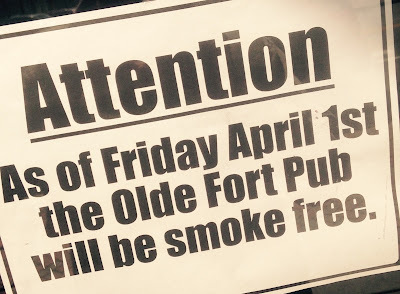 In 2009, I wrote about the characteristics that made the Olde Fort Pub in Fort Thomas such a successful, long-thriving business. Owner, Bob Arnzen, listed four for me. Fort Thomas residents Rick Zumwalde and wife Roxanne hatched a great idea, a casually elegant southern bistro that specializes in Rick’s famous fried chicken while also offering an outstanding choice of bourbons, an international selection of wines, and local craft beers. Rick, the executive chef, said he wanted the cuisine to be reminiscent of Charleston and New Orleans with a Kentucky infusion. The restaurant, located in Dayton, KY, had its grand opening on March 15th, and has been pulling in foodies from all over Greater Cincinnati. When you walk through the doors, you’re instantly captivated by enticing aromas as well as the friendly French Country décor. 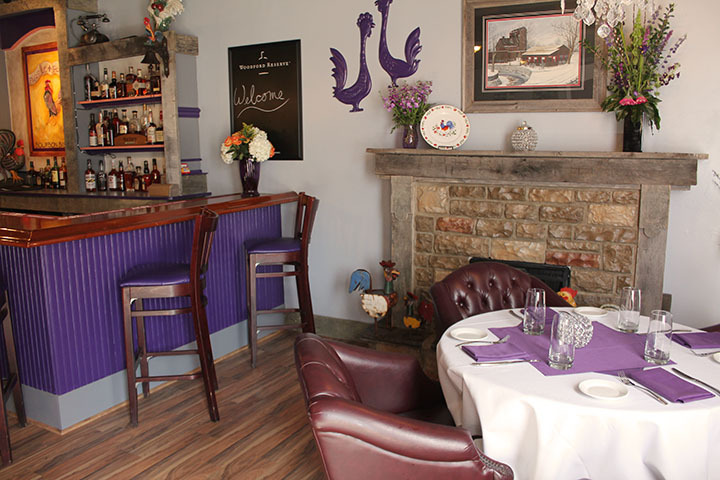 Two charming chandeliers hang at the front of the restaurant and the tables are set with white linen tablecloths and purple napkins. 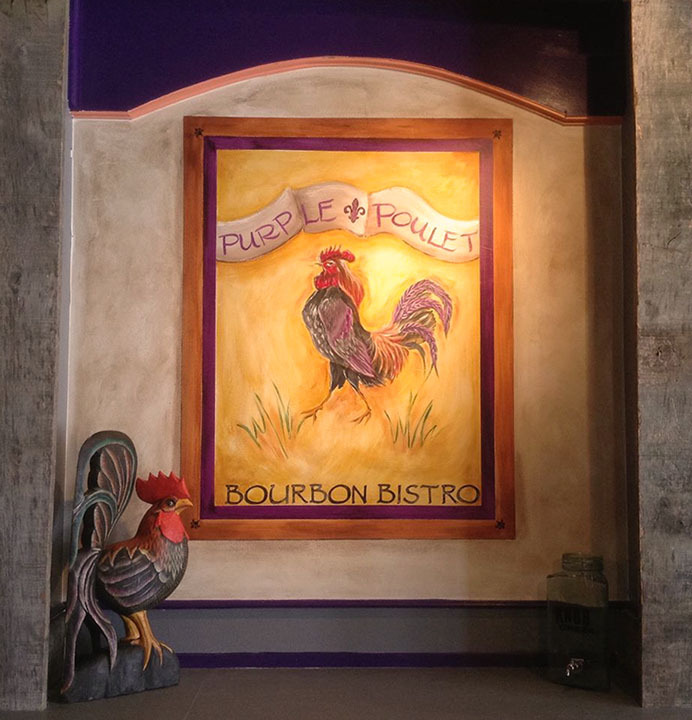 Touches of purple, a rooster motif, and some beautiful reclaimed wood from a Campbell County barn are seen throughout the restaurant along with a few bourbon barrels in one corner next to a highly polished wooden bar. Photographs of Bourbon distilleries hang on the walls to complete the look. For nine years, Rick was the executive chef at the Milan Railroad Inn in Indiana which is known for their award-winning fried chicken. His previous experience also includes chef at the Cincinnati Club and Banker’s Club downtown, executive chef at the Quality Inn revolving restaurant in Covington, U.S. Foods, Christ Hospital, The Beaumont Inn in Harrodsburg, Kentucky, and Wood Brothers (formerly Town and Country in Ft. Wright). Rick’s wife and partner, Roxanne, works full-time at another job while also working as the restaurant’s house manager. Rick said her hard work and support played a huge part in making this dream a reality. The Purple Poulet has a large selection of appetizers and side dishes on the menu including the popular “”Sweet Potato Beignets” which are fried sweet potatoes drizzled with maple syrup, sprinkled with crumbled bacon, some Mascarpone cheese, and a touch of ganache. 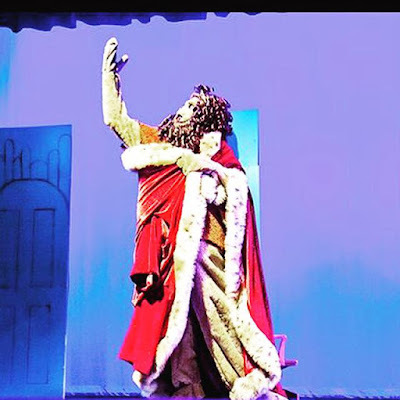 The Cowardly Lion, as portrayed in the Highlands Middle School rendition of The Wizard of Oz. Via Facebook. From Thursday, January 28th to Sunday, January 31st, Highlands Middle School put on a production of The Wizard of Oz. Over 100 middle and high schoolers were involved in this fascinating experience. The Wizard of Oz is a beloved movie made into a musical. With there being such a numerous amount of parts in this production, many will be able to recall the fun times they had. Seventh grader Maddy Baldrick, in the house and publicity crew, gave some insight on several topics. She tried out for cast, but ended up in crew where you need to have an interview to get in. It was easy to recall her memories, and some favorites were breakdancing backstage to weird songs. With practices until 10:30 p.m. on school nights, this was also a struggle. Good thing Baldrick was at ease on stage, with experiences like choir concerts and many dance recitals. Maddy overall had a great time and loved this experience! Emma Horton (grade 7) played the lead flying monkey, Nikko, as well as a munchkin in this production. Emma is very experienced on the stage, with performances including Children of Eden (St. Catherine’s Players,) Moyer’s Got Talent, Various CCC concerts/events (Cincinnati Children’s Choir), CCM’s mainstage Opera Hansel and Gretel, The Little Prince (Cincinnati Chamber Opera), and (April 8th, 9th, 10th 2016) CCM’s mainstage Opera The Cunning Little Vixen as the Vixen Cub. Emma says, "My favorite thing about being in the Wizard of Oz would have to be that I was cast as Nikko (lead flying monkey.) Since I play roller derby, and I love theater, my two worlds collided on this one and I couldn’t be happier!" Emma and the other flying monkeys went to Beechmont Rollerena together to gain experience and bond, which was one of her favorite things about this. Vince and Renai of Fort Thomas Jewelers. 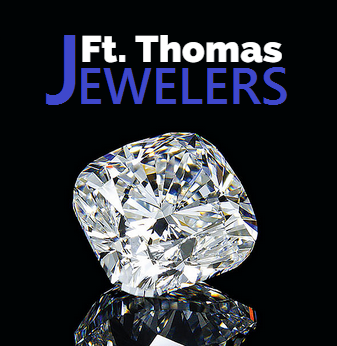 Ft. Thomas Jewelers is part of the FTM Family. Vince and Renai of Fort Thomas Jewelers in Highland Heights, KY recently attended a series of educational seminars, workshops and courses at the Independent Jewelers Organization's Spring Buying & Seminar Show held in Orlando, FL. They also had the opportunity to preview the lines of more than 150 top manufacturers and jewelry designers who exhibited their merchandise, some of which is exclusive to Master IJO Jeweler members and is not available from any other store in the area. Vince and Renai then carefully selected many unique and exciting items for the Spring season that are sure to delight their customers. IJO is an international buying group and educational organization of independent retail jewelers with almost 900 members worldwide. It's group buying power enables members to offer customers the finest in high-quality jewelry and loose diamonds at tremendous savings, while maintaining the reliability and integrity of an independent retail jeweler. 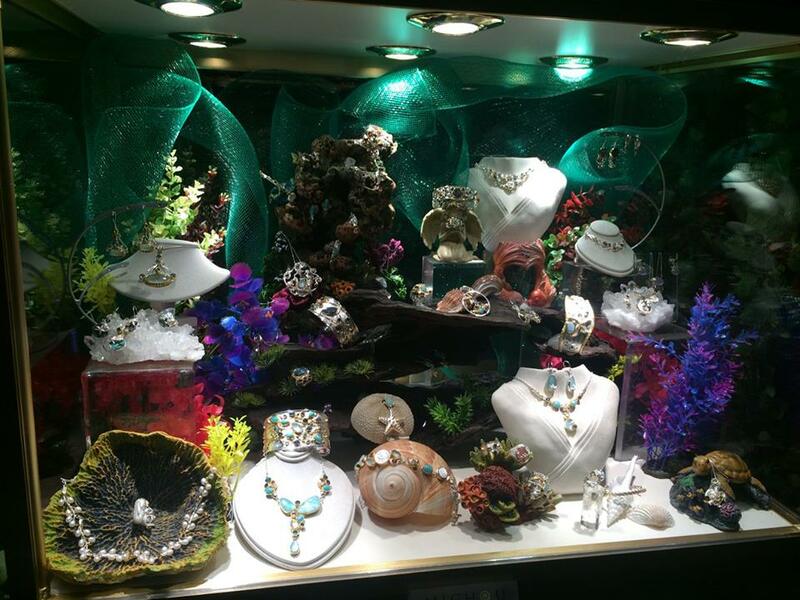 FTJ is this area's exclusive Master IJO Jeweler member located at 2780 Alexandria Way in Highland Heights, KY. Visit them soon to see the latest in jewelry fashion and all the new things they brought back from this weeks jewelry show! For a personal consultation on an engagement ring or the diamond of your dreams please call 859-442-0506. Fort Thomas Central is part of the FTM Family. This June will mark Fort Thomas Central's third birthday, and in that period of time, the shop has solidified itself as a staple in the Fort Thomas community. 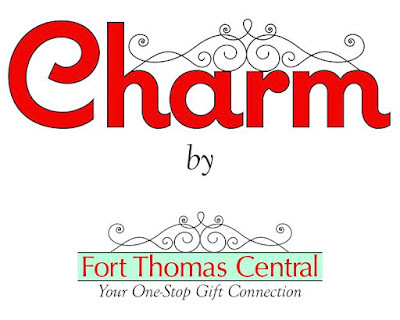 When owner Barb Thomas opened Fort Thomas Central, she had a distinct vision for the shop: “We opened setting out to be a one-stop gift connection for Fort Thomas and the surrounding areas. Gifts for all occasions, all ages and all budgets," said Thomas. When talking to Thomas, it's clear that she is committed to being a positive asset to the community. The Fort Thomas Central team creates lasting relationships with their customers that keep them coming back again and again. For Fort Thomas Central, it's important that when customers walk through the front door that they feel right at home versus just being in another shop. Sgt. Chris Goshorn pitched the idea of having a dedicated "Heroin Interdiction Team" in Fort Thomas to give extra patrols to areas highways where users traverse on their way to and from heroin transactions. Fort Thomas Councilman, Jeff Bezold, rode with Goshorn and documented his experience. It's hard to really get a grasp of the situation until you experience it. 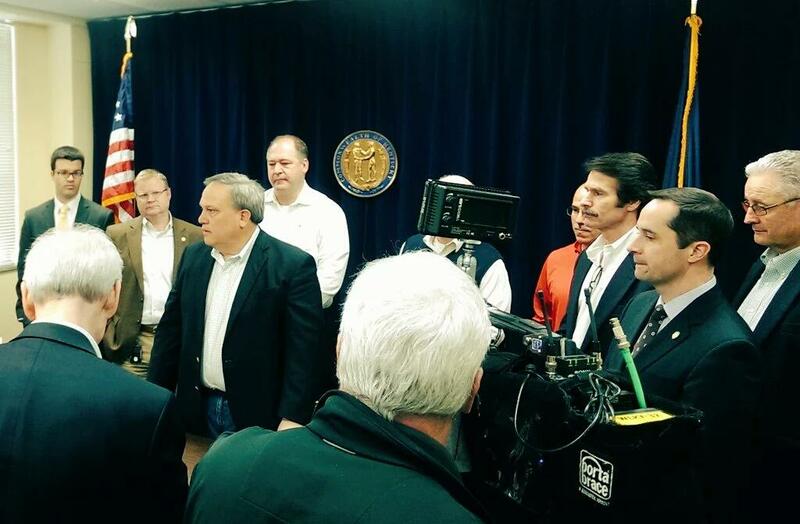 On Tuesday, March 8th, I was able to see firsthand how bad the heroin problem is and what and who it affects. What I saw was only stuff you see on television and movies. When I first heard of Heroin Interdiction Team, started by Sgt. Chris Goshorn of the Fort Thomas Police Department, I was curious. I was curious about a couple things: why the city was spending our resources on problems that happen in parking lots of other cities. Was there really that big of a heroin problem in Fort Thomas? If so, where? I was aware of the car accident the happened on S. Fort Thomas Ave. last year, but was the incident cause enough to devote an entire team of officers to heroin? What I was mostly curious of was what is the effect this awful drug heroin (and opioids in general) is doing to our community and how we as a city could do our part in the fight. After speaking with Chief Mike Daly about doing a police ride along with Sgt. Goshorn we decided on a random Tuesday morning. This again sparked some interest, I was thinking the time would be a Friday or Saturday night during the peak "social time." To my surprise it was a weekday (any weekday) starting at roughly 9 a.m. to roughly 5 p.m. The time spent with Sgt Goshorn (and team) was so incredibly shocking, eye opening, disturbing, upsetting, disgusting and SCARY. I felt I needed to get word out to the community ASAP. So here is a brief review of the day. 9:50 a.m. - Sgt Goshorn takes off after a suspicious vehicle with a taillight out and drifting in and out of his lane. The stop was made just past the Southgate exit going southbound. Summary of stop #1- 2 men, age range 40-50, brothers, stated they were coming from UC hospital and headed back to SE Ohio area. After a line of simple questions, Sgt. Goshorn realized the "patient" wasn't treated. The two men then admitted they were coming from the methadone clinic in Covington to receive treatment. - car impounded and due to ky state law both men were ticketed for their offenses and picked up by their father. SCARY NOTE - as Sgt. Goshorn was performing the stop, I looked over the guard rail and noticed a needle. It looked like it was a couple days old, but random. 10:45 a.m. - We pulled away from the stop and immediately noticed a vehicle that was drifting and didn't use a turn signal. Summary #2 - One man coming from the methadone clinic. The good news he has been off opioids and now seeking treatment. He checked out to be in good standing, congratulated for kicking the opioids and sent on his way. After this stop we turned around at the 275 bridge by the river and started north on 471, did the loop and came back south on 471. A call came across the radio "any available units in the area, we have a caller stating they are following a vehicle that is driving erratically, speeding and moving across all three lanes of traffic." At this point we hit the gas and the hunt was on. Quite frankly I was a little nervous. Fortunately these guys work on a team and Officer Nick Hoffman was able to stop the vehicle in the emergency vehicle turn around area just before the 275 bridge by the river. 11:30 a.m. Summary stop #3 - One girl late in her 20's from Batavia, was not opening her windows or doors. She was yelling at the officers and was very aggressive in her actions. Both officers were getting out their batons to break the windows. At this time she opened the door and was removed. - One very bad case of MRSA. Do you know what this is? If not look it up. Here's an actual picture of the MRSA infected arm with a tourniquet on. Yes, she was injecting heroin driving on 471/275 at 65 mph at 11:30 a.m. This was one of the most disturbing things I have ever seen! 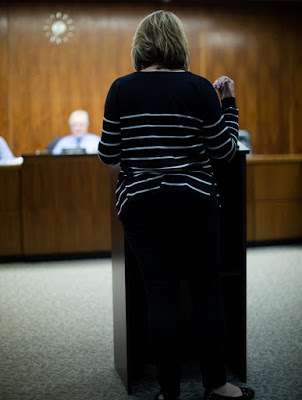 Catherine Ampere addresses the Public Works Committee at the street tax public hearing on 3-22-16. Credit: Jennifer Fields-Summer. The Public Works Committee met Tuesday evening to discuss the plans to resurface five of Fort Thomas’ streets; Barrett Drive, Daisy Lane, Haywood Court, Winding Way, and Gaddis Drive. Because Fort Thomas employs a special tax assessment on homeowners to repair these streets, they must hold a public hearing to hear feedback. The division of cost has been determined to be 50/50 between property owner and the city. Payment plans are available at three or five years with an 8% interest rate. It had previously been discussed that there should be a larger split in cost for heavily trafficked roads, with residents possibly paying 30% as opposed to 50%, but that has not been addressed any further. A large portion of those who attended this year had simple questions about the process. But the street tax and some of the inherent inequities associated with it also made its way into the discussion. For example, when a homeowner who has a corner lot, with frontage on more than one street. Resident Jim Gesenhues' home falls under that scenario. He brought up that his property is located on the corner of Winding Way and Haywood Court, effectively causing him to be financially responsible for two sections of street repairs, and said that was a “very bitter pill to swallow.” When Mr. Gesenhues pressed for more information about alternative financing options, Mr. Bowman responded that the possibility of franchise fees could not be addressed at this meeting but had not been taken entirely off the table. PHOTO: Allen Ramsey, DWCPhoto.com. 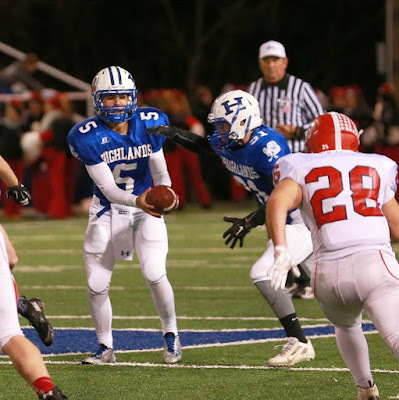 Highlands quarterback Brady Gosney (5) runs the read-option with running back Larry Wilson (middle) in the second-round Class 5A playoff game against Dixie Heights last season. Gosney is one of four players battling for the stating quarterback job next season. 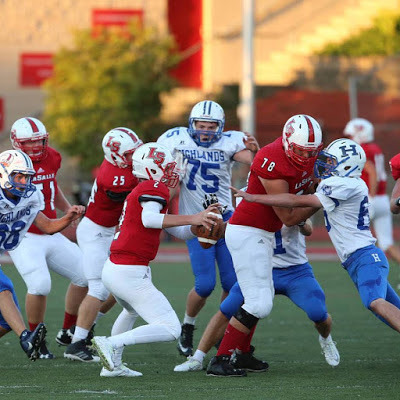 Instead of the adjective clear-cut that has pretty much described the race for the role of starting quarterback for the Highlands Bluebirds football team, it will be competitive this off-season. A senior has been the starting quarterback on the depth chart entering the season every year dating back to 2010 when Patrick Towles earned the role as a junior. Towles was the last quarterback to enter the season as the starter for more than one season. Towles took over as starting quarterback as a sophomore midway through the 2009 undefeated Class 5A state championship run after Will Bardo went down with an injury in the huge 12-7 victory over Cincinnati St. Xavier. That victory propelled the Bluebirds to a program-best third ranking in the final USA Today Super 25 poll. Four players will battle for that role this off-season after senior Austin Hergott takes his talents to Central Michigan University in seniors-to-be Brady Gosney, Cam'Ron Johnston, junior-to-be Carl Schoellman and sophomore-to-be Grady Cramer. All four have specific areas they aim to improve at in the offseason. The four are basically lined up at the starting line. Head Coach Brian Weinrich indicated things will stay that way until at least the summer. Gosney and Cramer are playing baseball while Johnston and Schoellman are participating in the team's offseason conditioning program. "We're not going to waste our time thinking about that right now," Weinrich said. "Right now, we're not playing a whole lot of football. It's just overall athletic development. Spring football is going to be focused on a lot of little things. Those guys will get the football reps in. Hopefully, they'll take advantage of that situation. We're just going to take advantage of that time and get better." Gosney has the most varsity experience of the four after backing up Hergott last season. Gosney completed 11-of-34 passes for 101 yards and three interceptions last year and rushed for 32 yards on nine carries and two touchdowns last year. Gosney started the game at Scott County for the injured Hergott. Gosney hopes to improve his footwork and throwing mechanics. Gosney realizes the importance of earning the trust of the coaches. Quarterbacks need to be counted on to make the right reads and accurate throws to gain crucial first downs and touchdowns in crunch time. Beau Hoge displayed that on the game-winning drive against Owensboro in the Class 4A state championship game in 2014. He scored the game-winning touchdown with 2:30 left on a quarterback sweep to the left. "We're basically talking to (the coaches) a lot," Gosney said. "We're going over film with them every other day trying to make sure what he's seeing, we're seeing and thinking the same things." Johnston and Schoellman also saw limited varsity action. Johnston rushed one time for eight yards against Grant County and Schoellman did not complete his lone pass attempt. But Gosney, Schoellman and Johnston helped the Highlands junior varsity team to a 7-2 record. The Bluebirds lost to just Simon Kenton and Cincinnati (Ohio) La Salle. Johnston will be working on his reads and decision-making. Johnston's run came off a read-option play. Hoge and Hergott made plays off that play in previous years. Hergott scored a touchdown on one in the state semifinal loss to Pulaski County. "That's really vital because the longer you hold onto the ball, the better the read you can make and the better the read you make (leads to) better plays," Johnston said. "I want to make my decisions quicker and more accurate." Schoellman just came back to football conditioning from basketball season. He wants to improve his arm strength and decision-making. The players know it is vital to support each other no matter who wins the job. "We all just push each other to become the best we can be because someone's going to have to do it," Schoellman said. "Whoever that is, hopefully they're the best equipped and ready to go." Cramer helped the Highlands freshman team go 7-3 throwing 25 touchdown passes. The Bluebird freshmen lost to just Campbell County, Covington Catholic and Louisville Trinity. Cramer has grown to 6-1. Cramer wants to improve his poise in the pocket and his footwork. He said he'll be attending camps at the University of Cincinnati and Indiana University to do that. Looking at his freshman film, one play that stands out came in the 19-18 win at Conner. Highlands had the ball at its own 3-yard-line. But Cramer hit eighth-grader Brycen Huddleston around the Bluebird 45 in one-on-one coverage. Huddleston then outraced the Cougar defender for the long touchdown. The Bluebirds have several wide receivers coming back such as senior-to-be Trent Buchert and juniors-to-be Braden Posey, Griffin Huber and Nick Veneman. Huber is the leading returning receiver with 14 catches for 203 yards and a touchdown. Kramer understands the importance of reading routes and hitting wide receivers at the right locations against various defenses. "It comes with practice," Cramer said. "You just have to be poised in the pocket and know where the receivers are going, know the routes and be smart." All four players have plans if they do not win the job. Gosney said he'd look for a spot on the defensive side of the ball and Johnston said he'd look at a tight end spot. Schoellman and Cramer would probably go to the junior varsity squad and try to win the job in future years with one and two seasons left after this year respectively. The hope for next season no matter who wins the job is to improve the passing game to where opponents can't load the box against the run. Highlands averaged 130.2 yards per game passing the ball last year. Spring football begins April 11 and goes to April 26. The Bluebirds will practice nine of the Kentucky High School Athletic Association-allowed 10 days during that time. 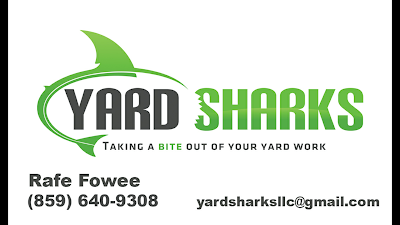 When calling Yard Sharks, you will speak directly with the owner and operator of the company. There is no contract, which means less paperwork for you. Direct contact with the owner/operator means faster resolutions. Yard Sharks is dedicated to making you happy with your yard. Before we leave your job, we want to be sure that the job is completed to your expectations. When it comes to mowing your lawn, trimming the trees and bushes, laying mulch, or working in your landscaping beds, there is not just one way to do it. Everyone likes something different and we get it! Yard Sharks is about providing a service that people are happy with. When you call Yard Sharks, the first thing we do is a consultation and bid. We love to get out there with our customers and listen to what you have to say regarding what you want completed. Let us help you with your wants and needs while tailoring to your taste and budget! No relationship is worth having if trust is not involved. We ask lots of questions to ensure that you get exactly what you pay for. Yard Sharks is committed to always give you the best price we can on services and materials. If you have any questions about our pricing, just ask. We’re happy to talk through all parts of the job until you’re comfortable! Call Yard Sharks today at 859-640-9308 to schedule a consultation for mowing services, full tree service, shrub pruning, spring/fall cleanup, mulching, gutter cleaning, and leaf removal. Abby Hills has been working in Vietnam for the last year and she could use some help from her Fort Thomas friends. She could really use some help in this fundraising effort for Sports For Social Change. Here is Abby’s request. Please consider helping her make a difference in the world. Some of you know this but some of you don't: Over the past few months, I have been hard at work looking for support for the Sports For Social Change Project that I will be helping to manage in the summer here in Tra Vinh. This is a truly incredible project. For three weeks, American, Vietnamese and Cambodian university students come together to learn about non-violent problem solving skills, cross-cultural communication, and women's empowerment through sport. These coaches then host soccer camps in their communities to teach the younger generations about sports, health and wellness, and team building skills. 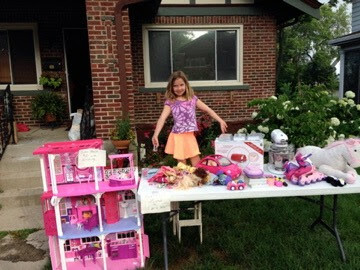 Audrey Heindl sells some toys during the Hartweg Ave/Dixie Place street sale in 2012 to raise some souvenir spending money for her summer vacation to Florida. Last December, Fort Thomas Mayor, Eric Haas, City Council Members and City Administrator, Ron Dill met for a long-term planning session with the goal of creating a vision for enhancing the city. Many ideas were brought to the table and at least one of those ideas is already coming to fruition as plans for the first city-wide yard sale are underway. Saturday, May 21st is the date of the sale and it’s time to start clearing out basements and attics. Fort Thomas residents will soon be able to register their sale location via the city website www.FtThomas.org. By registering a sale location, residents will be included in a listing and map of all sales happening on May 21st. Yard sale permits will not be required for this city-wide sale. Shoppers looking for a bargain on May 21st will be able to download a list and map showing the location of all sales that have been registered with the city. Fort Thomas Police Chief Mike Daly announced at the city council meeting on Monday night the beginning of a Heroin Interdiction Team, aimed at stopping drivers along I-471 through Fort Thomas from driving under the influence of heroin and other drugs has been a success. The program was initiated by Sgt. Chris Goshorn of the Fort Thomas Police Department, and the program began in mid-February. Daly presented the five-week report from Feb. 18 through March 18, 2016 at the council meeting on Monday night. Within the five-week period, a total of 107 traffic stops along the 471 corridor through Foty Thomas were related to drugs, including 70 opiate arrests, which include heroin, according to Chief Daly. L to R: Lisa Kelly, Ron Dill, Eric Haas, Roger Peterman, Melissa Kelly, Ken Bowman, John Muller. FTM file. In a follow-up meeting to a brainstorming session held back in a December, Mayor Eric Haas once again met with City Administrator Ron Dill and members of city council on Monday night to discuss the next step in the process for the things that were brainstormed in December. Councilman, Chuck Thompson, was not in attendance. To begin the meeting, more items were added to the list of items that was created in December. Some items added on Monday nights included: public Wi-Fi, more bike racks (perhaps with an art component), more city garbage cans, additional animal waste stations (possibly paid for by sponsors), marquee in front of the city building, making the lobby of the city building more of a public area, and aesthetic landscaping in front of the city building. Dill then explained that the items that were brainstormed in the December were categorized into three sections, based on timeliness of completion and funding for the projects. One section was for items that could potentially be easy to get done soon, a second section was for medium-term items, and a third section was for long-term planning items. Discussion at the meeting then turned into the possibility of creating a comprehensive plan. The KRS statute requires that cities in Kentucky explore and create a comprehensive plan every five years. In years past, Fort Thomas has re-adopted a comprehensive plan that was created in 2001. However, city leaders believe it may be time for a new comprehensive plan. The public hearing for citizens to address Fort Thomas city officials will take place tonight at 7:00 p.m. in the council chambers in the Fort Thomas City Building. In Fort Thomas, residents are taxed a special assessment when the street in front of their home is repaired and resurfaced. A public advertisement was made and affected home owners have been notified, however any Fort Thomas resident can address council about the city's annual practice. The city keeps a short list of street that are in most need of repair. The Public Works Committee meets in February, then discusses the plan for the coming year. This year, Barrett Drive, Daisy Lane, Gaddis Dr, Haywood Ct and Winding Way are the proposed streets to be repaired. Residents are charged a special tax after the work is complete based upon how many linear feet their property abuts with the street on a 50% city, 50% resident cost share. Heavier trafficked streets are assessed 60/40, with the resident paying less. It's possible that neighbors who live next door to one another could pay an amount that varies in cost by thousands of dollars. Those numbers vary by a number of factors including, lot size (corner lots vs. regular lots) the length and width of the street, number of intersections or curb height. The city offers financing for neighbors who can't afford to pay out the full amount of the tax, which can be quite substantial. For example, last year the average resident on E. Southgate was estimated to pay $626.54, which was the lowest average of the five streets repaired. The average street tax each resident paid on Burnett Ridge was $3,157.21. The Public Works Committee is chaired by Councilman, Ken Bowman. Committee members include Jeff Bezold and John Muller. Last year, momentum seemed to build to replace this method of street assessments, with a franchise fee, which most other Kentucky cities utilize. City Administrator Ron Dill, who took over for Don Martin in October 2015, noted recently that reopening the discussion of franchise fees wasn't an initiative this year undertaken by the city council. Bowman said that franchise fee funding requires careful and time-consuming evaluation. "I think the conversation should happen again about alternative funding," said Bowman. Streets up for consideration in 2017 include Custis Ave., Washington Ave., LaFayette Ave., Waterworks Road, Lilac Lane, Highview and Diana Court.